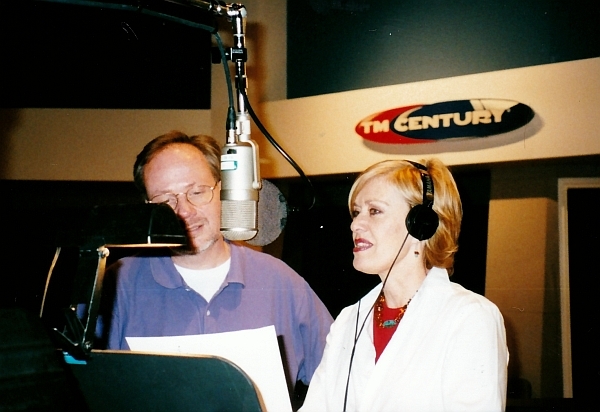 In April of 2004, WNKT (Cat Country 107-5), Charleston, SC Program Director Bob McNeill and I traveled to TM Century (now TM Studios) in Dallas, Texas to have a jingle package sung for the station. 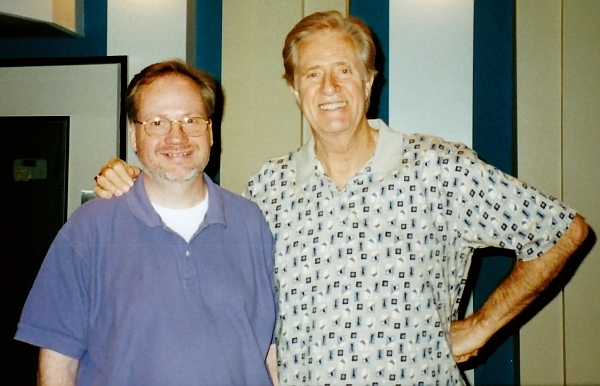 The package was Pride, originally done for 50,000 watt AM country music station WSM-AM in Nashville, Tennessee. 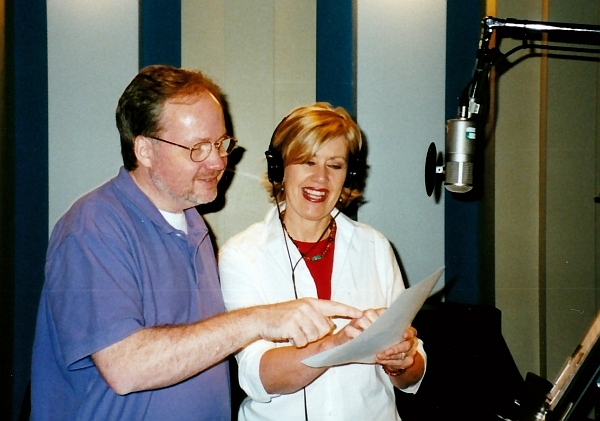 It features real country music instrumentation, along with the "classic" Dallas 7-voice sound (including legendary bass singer Jim Clancy) as well as male and female soloists. (The female solos were done by country music star Janie Fricke, who lives in the Dallas area.) WNKT was the first station after WSM to have this package. For a serious radio jingle collector like me, it was a real treat to watch and hear the jingles being sung live. Due to vocalist availability, the male solos (done by Marty Heddin) were sung earlier in the week so we missed seeing those done. However we got to be there during all the group sings, which were followed by the recordings of Janie's solos. These singers are real pros. While that big Dallas 7-voice sound is actually 21 voices (the group stacks their vocals three times) I don't think any stacking instance took over three takes. After the group sings were done, we had the group do several shouts of DJ names and station slogans. 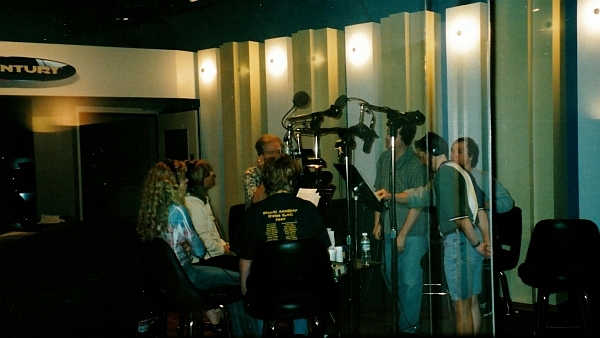 Those were almost always done on the first take, but each shout was overdubbed once to give them a bigger sound. The jingles were recorded between 10:30 and 12:30 on Friday, April 2. 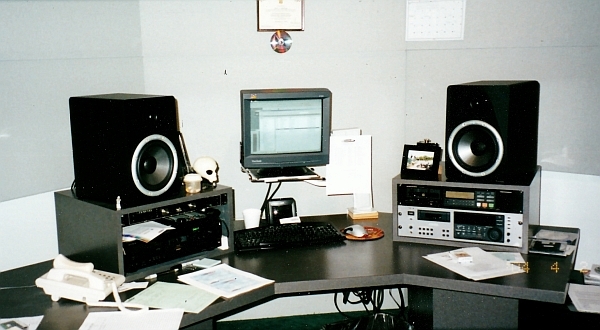 Mixing began around 3:00, and Bob and I each had a CD of all of the main cuts by the time TM Century closed at 5:00. On April 14 we received three finished CDs from TM Century. One contained all of the main cuts along with mixouts and shouts, while the other two held the M-Power versions of the jingles. Not only were all of the mixed and acapella jingles on the discs in .wav format, but each individual component of the music beds was provided as a .wav file. This lets one use a program like Cool Edit Pro or Adobe Audition to remix the jingle beds to their heart's content. You could turn up the drums, re-pan the steel guitar, take out the dobro, etc. Very slick packaging on the final CDs too. Instead of coming in a typical hard plastic jewel case with a separate cue sheet, they were contained in a soft, clear plastic container similar to the ones that hold DVDs. The cut list was on the case's full color heavy paper insert. I hope you enjoy these photos I took of our visit. TM Engineer Tom Cusic recording a female solo vocal (Annagrey LaBasse, who later was part of the group that sang WNKT's jingles) in one of TM Century's secondary control rooms. 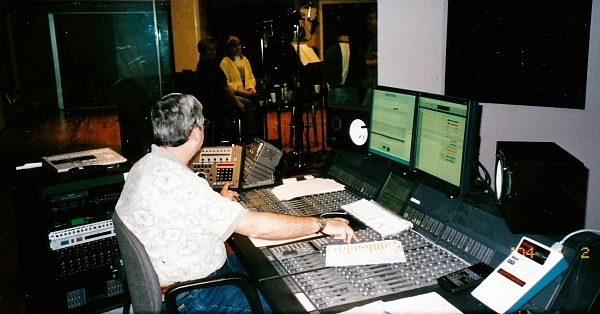 Chief Engineer Dave Giangiulio at the console for the main TM Century studio. where the jingle singers are ready for another take. 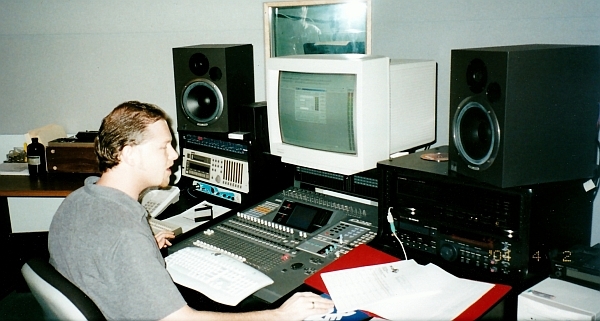 This TMCI engineer was in charge of mastering HitDiscs and GoldDiscs. 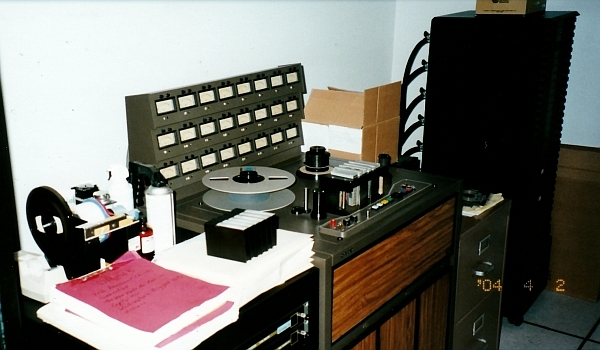 Yes, even in this computer age, this multitrack tape machine still gets used from time to time. It's in an equipment room directly to the right of the control room. 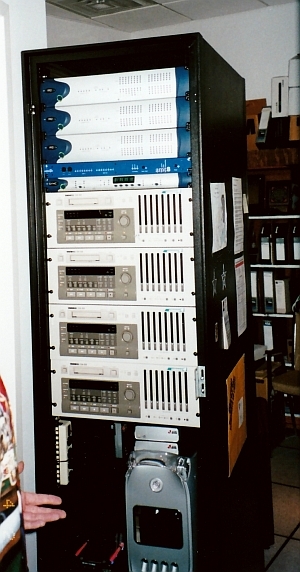 A rack of digital tape decks in the aforementioned equipment room. 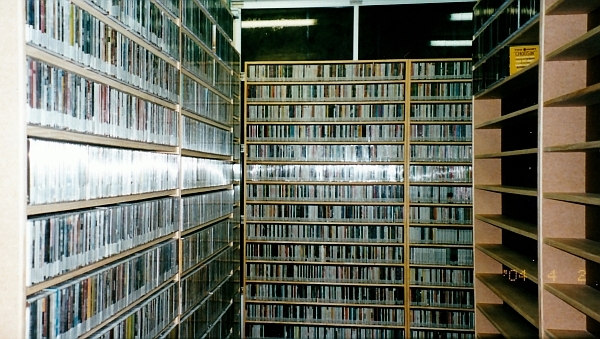 This is the room where TM Century duplicates their CD demos, GoldDiscs, HitDiscs, etc. 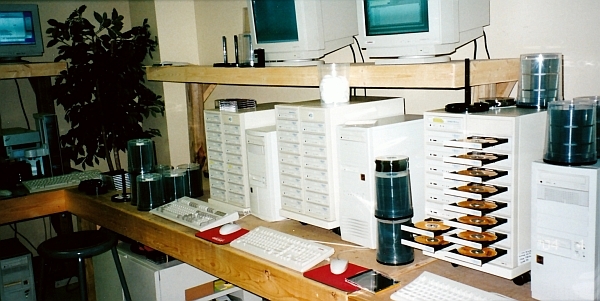 Here's another view of the CD duplication room showing the equipment used to label the CDs. One of TM Century's warehouse rooms where imaging libraries are ready to be packed and shipped. 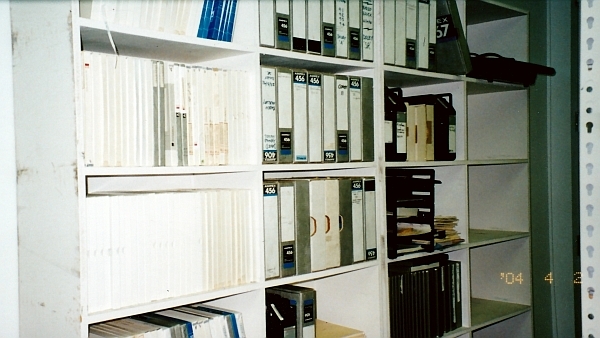 This group of storage racks holds GoldDiscs, anxiously awaiting customers. 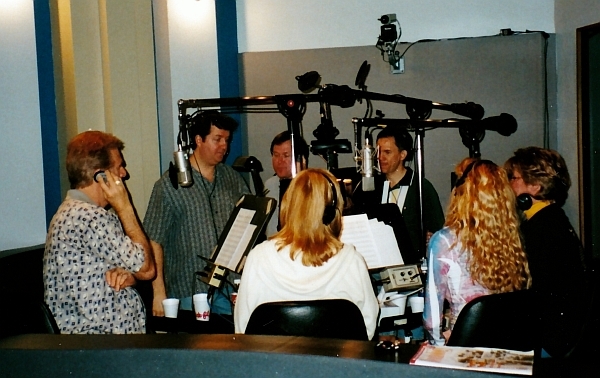 Here's a shot of the jingle singers at work. This picture was taken through the glass from the control room. 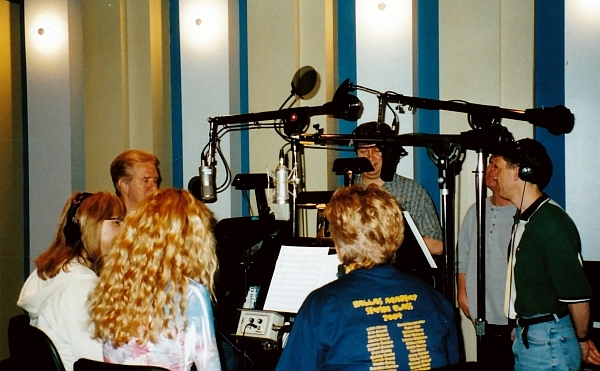 Another pic of the singers, this one shot in the studio. And the (jingle) hits keep comin'! More jingle singing, more often! WNKT PD Bob McNeill in the TM Century control room giving guidance to the singers over the intercom. PAMS in the 1960s and still sounds great today...and is a heckuva nice guy! 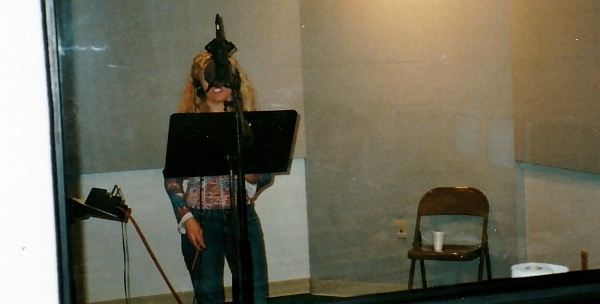 Here's a shot of Janie Fricke, taken from the back of the studio. You can see the glassed-in control room on the right. A final note: Bob McNeill and I spent an enjoyable 15-20 minutes with Janie in TM Century's "green room" before the session talking about her country music and jingle singing career. Janie is as sweet and gracious as you'd expect her to be. 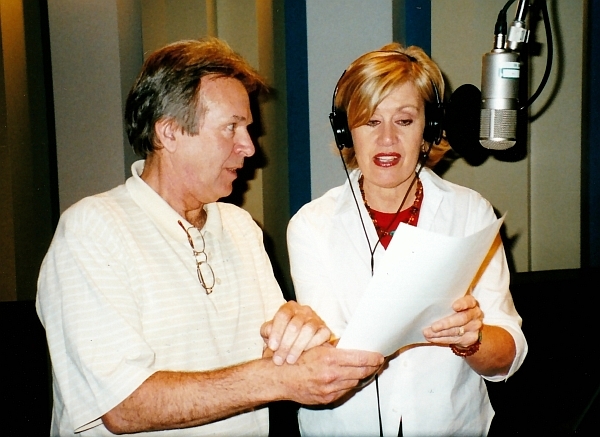 Janie started singing radio jingles in the late 1960s for Pepper-Tanner in Memphis, and then a short time later for the original TM Productions in Dallas. (She's featured on one my favorite early 1970s TM packages, "Where Your Friends Are.") Janie also sang in Los Angeles and, of course, Nashville.